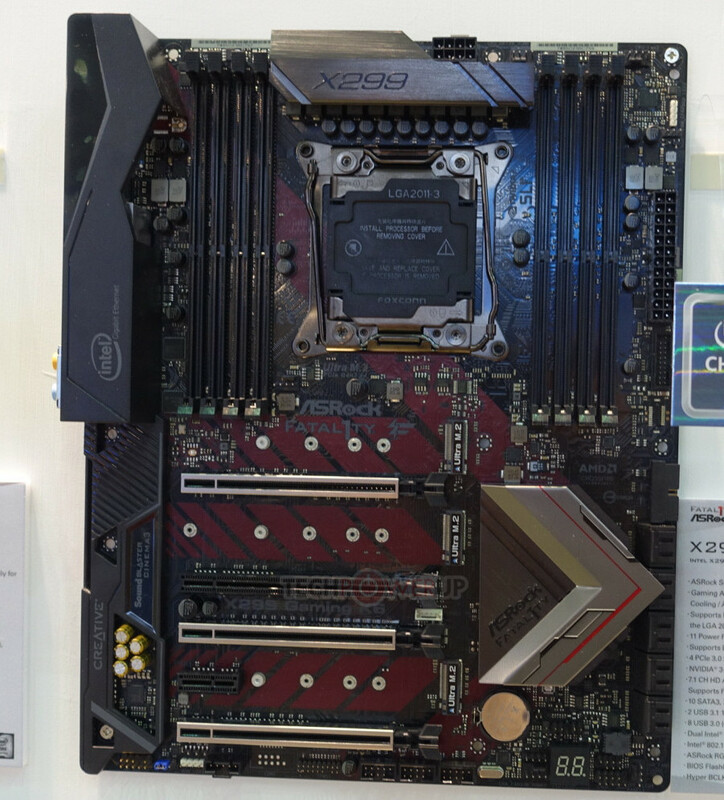 ASRock showed off its premium gaming-grade X299 Fatal1ty Professional Gaming i9 and X299 Killer SLI/ac motherboards. The two boards are based on a common PCB, but differ with the former featuring 10 GbE network connectivity and Creative Sound Blaster Cinema audio DSP, while the latter lacks them. If you want the feature-set of the X299 Killer SLI/ac but the white+black color scheme isn't rubbing of on you, ASRock has you covered with the X299 Fatal1ty Gaming K6. 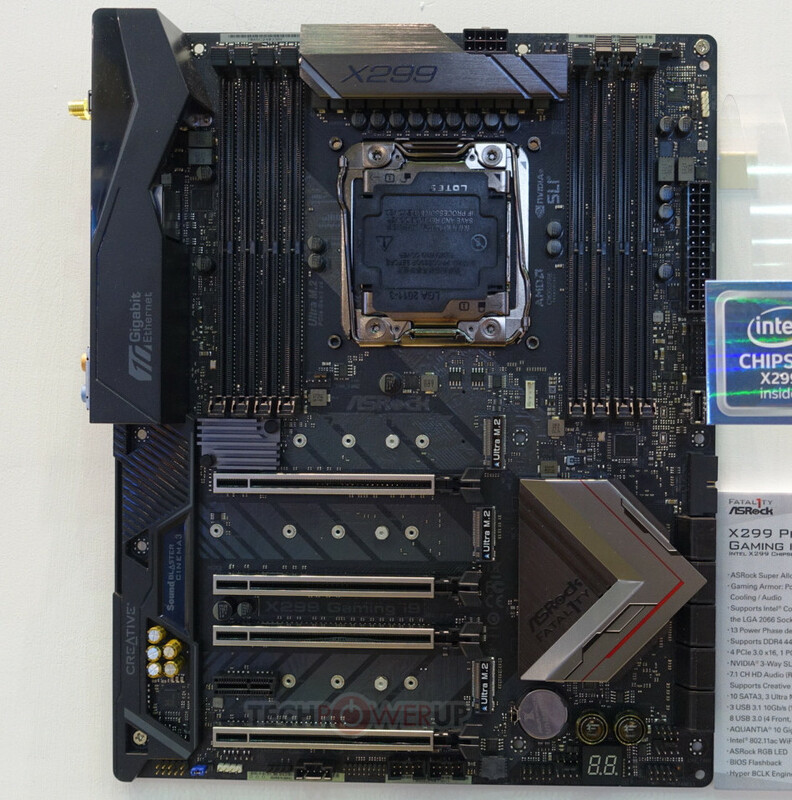 Drawing power from a combination of 24-pin ATX and 8-pin EPS connectors, the boards employ a 14-phase VRM to condition power to the CPU, which is wired to eight DDR4 DIMM slots, and four PCI-Express 3.0 x16. Storage connectivity on the boards includes three 32 Gb/s M.2 slots, and six SATA 6 Gb/s ports. Both boards further feature two USB 3.1 ports (of which one is type-C), about 8 USB 3.0 ports, and network connectivity that includes 802.11ac WLAN, Bluetooth 4.1, and at least one gigabit Ethernet connection driven by an Intel i219-V controller. The Fatal1ty Gaming i9 tops this with Aquantia AQC107 controller-driven 10 GbE. The two feature Aura Sync RGB headers. 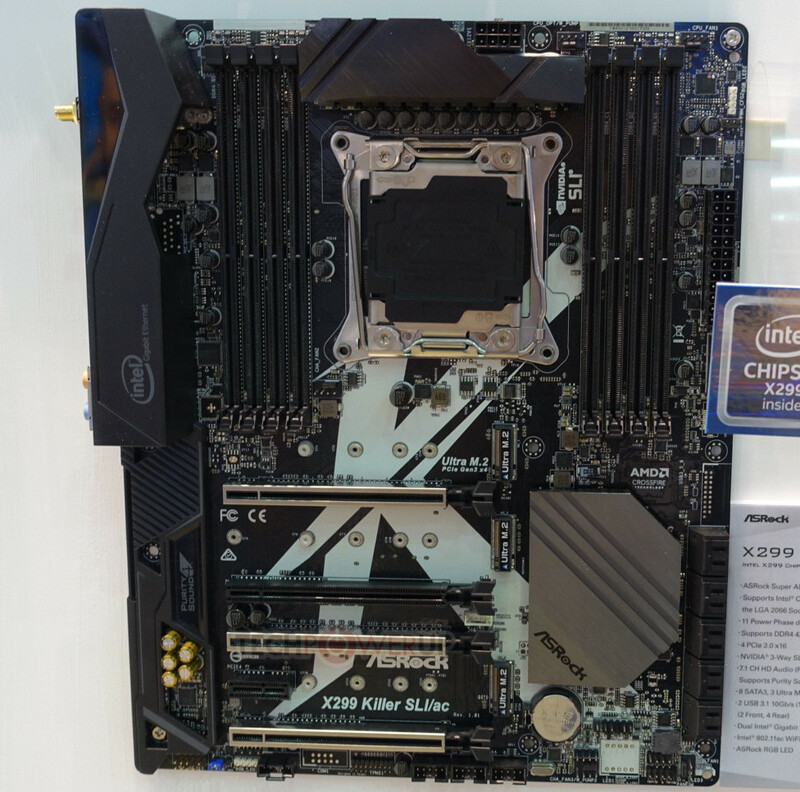 Nice to see a subtle looking motherboards for a change. Getting a little tired of this RGB bling nonsense. FYI, that Aquantia AQC107 supports 2.5Gb and 5Gb as well. Those speeds might be more common in the home as switches, NICs, and cabling will be a bit cheaper than a full 10Gb network. You can get away with CAT5e too, which is nice for people who already have their house wired with it. The PCB design is amazing. No comment.